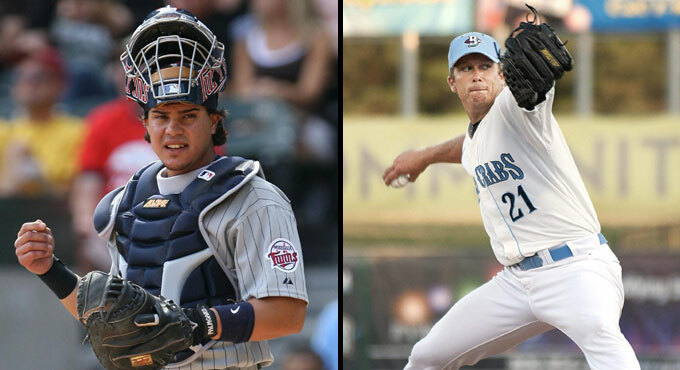 (Central Islip, N.Y., March 12, 2015) – The three-time Atlantic League champion Long Island Ducks today announced the signings of catcher Jose Morales and right-handed pitcher Ian Marshall. Morales begins his first year with the Ducks and second in the Atlantic League, while Marshall enters his first season on Long Island and third in the Atlantic League. Morales comes to the Ducks with four seasons of Major League experience, including three with the Minnesota Twins (2007, ‘09-10) and one with the Colorado Rockies (2011). In 96 career games, he compiled a .289 batting average with 21 RBI, 25 runs and 12 doubles. The backstop made his Major League debut on September 8, 2007 against the Chicago White Sox and collected three hits in three at-bats with a double and a run scored. The 32-year-old has played a total of 13 seasons of professional baseball and has spent time in the Twins, Rockies and Pittsburgh Pirates organizations. He was a member of the Atlantic League’s Camden Riversharks in 2014 and posted a .269 batting average with one homer, 22 RBI, 15 runs and eight doubles in 79 games. Entering 2015, the Puerto Rico native has a .283 career minor league average with 301 RBI and 133 doubles, and defensively, he has thrown out 25% of base stealers. Morales was originally drafted by the Twins in the third round of the 2001 amateur draft. Marshall joins Long Island after spending each of the past two seasons with the Southern Maryland Blue Crabs. In 2014, he made 27 starts, going 10-10 with a 4.09 ERA over 156 and one-third innings. His efforts earned him a selection to play in the Atlantic League All-Star Game, where he tossed a scoreless inning of relief. In 2013, the Maryland native went 12-8 with a 4.00 ERA and 98 strikeouts in 27 starts. The 28-year-old spent two seasons in the Atlanta Braves organization (2010, ‘12), reaching as high as Single-A. In 32 games as a reliever in 2012, he struck out 42 batters in 45 innings and compiled three saves. For his career, the University of Richmond alum has a 28-26 record with a 4.18 ERA and 257 strikeouts in 99 games (63 starts). Marshall was originally drafted by the New York Mets in the 14th round of the 2005 amateur draft and then was chosen after his collegiate career by the Braves in the 40th round of the 2010 amateur draft.